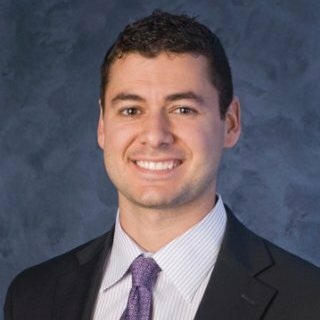 Pablo Bonnin is a Project Engineer at Bulley & Andrews, LLC. He is also the Co-founder & Principal of MAR Development Group, a privately held business dedicated to providing high quality project management and customized mobile solutions for the real estate and construction industries. Pablo has both a Master of Architecture and Master of Business Administration (MBA) from the University of Illinois. You can find Pablo on Linkedin here and Twitter here. I don’t believe relevant [work] experience starts the day you begin your first job; there are many life experiences during adolescence and early adulthood that can shape your character to navigate this world effectively – professional environment included. I studied architecture and business administration but have always maintained strong interest in many subjects. Internships in architecture and real estate and a couple of years working “professionally” have led me to my current role as a project engineer for a general contractor in Chicago. I suppose more hands on experience in construction at the ground level would allow me to perform better in project management – so that’s exactly what I’m working towards. Can I say all? Serving as a project manager or construction manager requires one to be very detail oriented, understand the task at hand from every trade group, be able to relate it to the bigger picture (and know how it may affect the budget/schedule months down the road), manage contracts, keep meticulous records, and above all communicate effectively with all parties involved; architect, owner’s rep, subs…etc. In the end, you are responsible for the entire construction effort – from precon to occupancy. Builders – I know I’m here because I wouldn’t feel fulfilled unless I was truly creating something. And in part a thinker, because everything we build has to tie into the urban fabric in a positive way and improve people’s lives. Sure, it includes overseeing the efforts of dozens of trade groups (steel erectors, stone masons, carpenters…etc.) and potentially hundreds of people – managing thousands of moving pieces and culminating at the completion of a building for the owner’s benefit. Currently, I assist the senior project manager in doing his job better. With large projects, there is simply too much for one person to handle. That’s where I come in and help alleviate workload while providing a second perspective. I spend my time in the office and out on the field, and certainly the field can be dangerous. I took safety training courses at the beginning to learn best and safe practices. If someone gets hurt on the job site, I’m responsible. With so many moving pieces [literally too], working in changing weather conditions, and having to expect the unexpected, one cannot get too comfortable. You have to be sharp. It’s fun to work with people, and I learn best through conversation and practice. In the end, I can see my project come to life and be proud of the work I did.